Special guided WWII Tour - TeamWatzmann steht für nachhaltiges Teambuilding, tolle Teamevents erfolgreiches Outdoor Teambuilding und wunderbare Betriebsausflüge. Exclusive and special guided tour in the historical Bunkers. The exhibition at the Obersalzberg, once Hitler’s holiday residence and former second seat of government after Berlin, showing the local history of the Obersalzberg, and connecting this with a portrayal of the central figures of the national socialistic dictatorship. 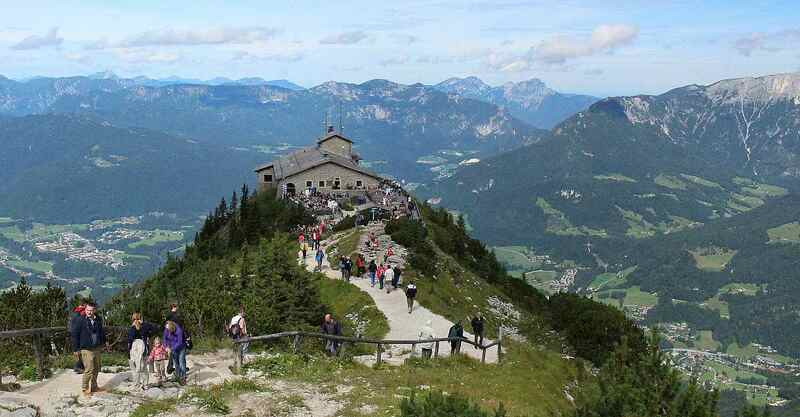 With a specially trained TeamWatzmann tour and travel guide, you will learn interesting facts about the history of Berchtesgaden Land and its people. Our General Terms and Conditions apply to the contract exclusively. No other terms will be part of the contract, even if they are not explicitly contradicted.